I specialize in photographing couples through thoughtful and Natural storytelling. 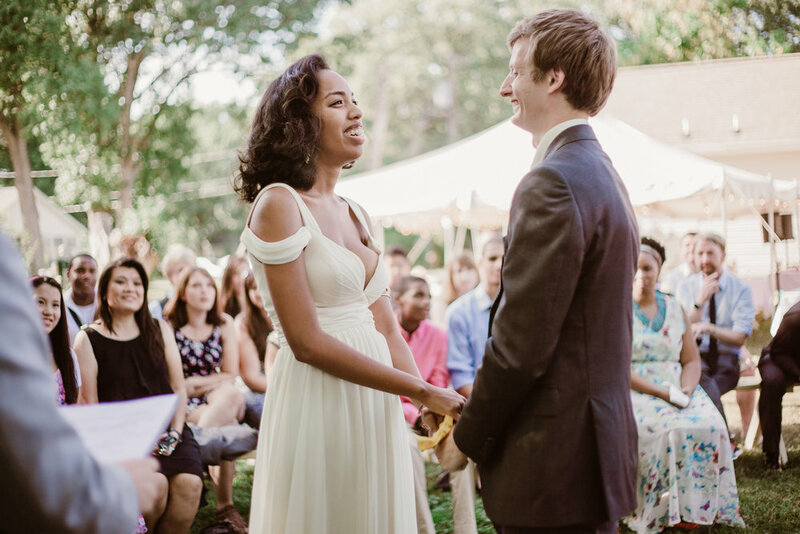 You’re getting married and you want to do something a little different- toss out a few traditions, and make your wedding day actually feel like you. I’ve been a part of weddings that have taken place in a hurricane, tiny glass chapels, elopements in the woods, or camping after the reception. Every wedding is unique, but one thing remains the same: the photos should be about the wedding- the wedding is not about the photos. Wedding days are made of big moments and small moments, and I find both equally important. I believe photography should stand the test of time. Your wedding photos should be beautiful and relevant in 100 years, not just exist to serve as a popular post on social media. It’s my duty to view your wedding through the eyes of friend, bystander, and photojournalist all at the same time. Every wedding package includes a second photographer, an engagement session, carefully edited high-resolution images, backed-up shareable online gallery, and personal printing/download rights. Elopement coverage starts at $1200 and wedding photography coverage starts at $2800. Please reach out to me for my current detailed pricing and packages, I’d love to hear from you! If we could rate Sarah more than 5, we absolutely would! 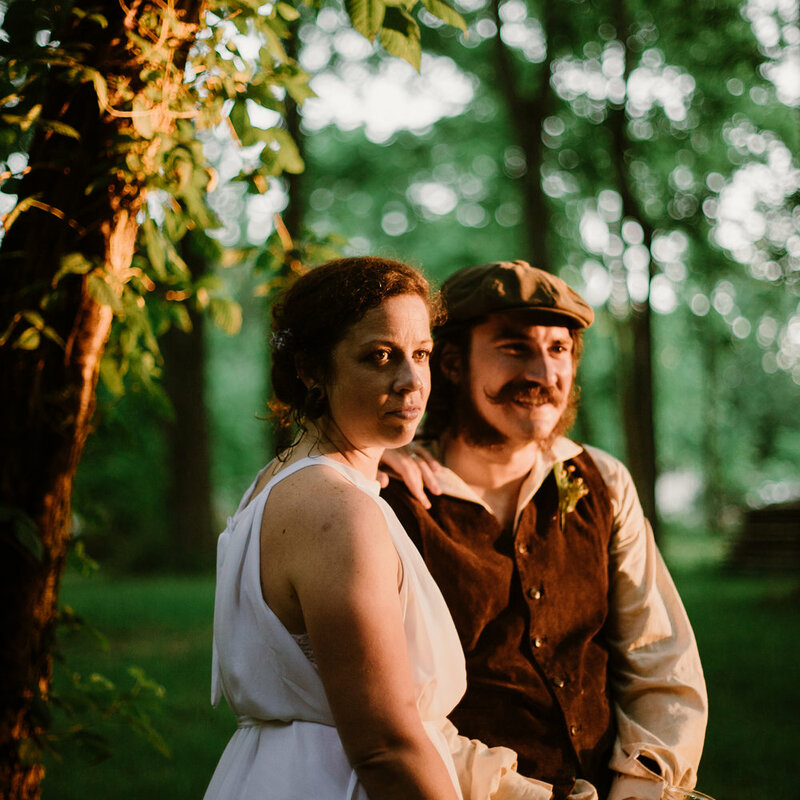 Sarah was a joy to work with, and I frequently share that she was easily one of the best parts of our wedding. Her quality of work is unparalleled and, thanks to her skill and eye, we are able to relive our wedding day. In addition to the quality of her work, Sarah is exceptionally kind, wonderful, and professional to work with. She makes getting photographed, which can feel awkward and stiff, fun and enjoyable. Her calmness and demeanor rubbed off on us on our wedding day, and she always made us feel comfortable and at ease. I’m grateful that she was such an integral part of our day, and I can’t recommend her highly enough! See Tess and Matt’s gallery here. It is really hard to talk about Sarah in a positive light and do her justice. She is simply amazing. Her work is incredible, from her focus on the intimacies between people in relationships that most photographers wouldn't notice, to the artist integrity she holds so dear. It is apparent in her style and the work itself. Personally, she is so genuine, kind, funny and just an all around joy. She also focuses so much on capturing the authenticity and nuances of you as a couple that she's totally non invasive and obtrusive to the moment. She made my partner and I feel completely comfortable and at home, which is always the best!! I could never have imagined anyone else capturing my day, honestly, And as a photographer myself, that's saying a lot! I totally trusted Sarah and was completely as ease, knowing she would not only capture the day seamlessly but would see subtleties that no one would see, and turn them into magic. If you are even remotely thinking of booking her to document your story, or your family, don't hesitate! You will be so happy you decided to work with her, and you'll never regret it. See Nadiya and Evan’s gallery here. Read Brandi and Nick’s blog post here. I have been working professionally for over 10 years- my first time photographing a wedding was when I was 16! I began exploring photography as a passion when I was 12, though. Absolutely! Any wedding over 2hrs away from Richmond, VA will require a hotel stay. I am based in the VA/DC/MD area, but I love adventure and have a passport ready to go. Always. I think it is a huge benefit to have two perspectives and coverage in two places. On most wedding days, my husband, Ross, is my second shooter. Having gone through a wedding ourselves, it gives us a unique perspective. 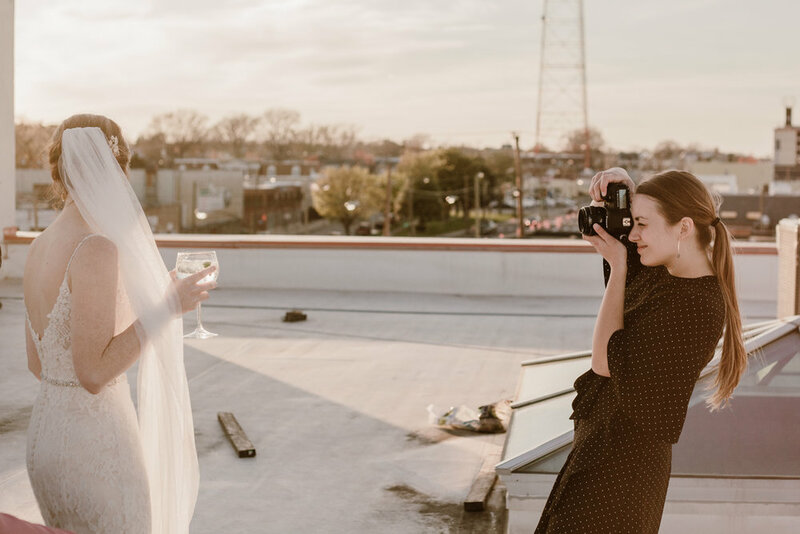 We totally understand not wanting the super-posed-and-stiff wedding portraits (because we didn’t want that either) and we’ll never force those to happen. And we’ll never ask you to take a jumping picture. HOW LONG CAN I EXPECT TO WAIT FOR MY WEDDING IMAGES? 6 weeks! I always get a preview to you within 24hrs after your wedding. I LOVE WHAT I’VE SEEN SO FAR! WHAT’S NEXT? Send me a message via my contact page! I look forward to talking with you and can't wait to hear more about your wedding!